With all of the states voting on medical marijuana, either this year or the years’ past, did you ever think that Arkansas would be one of these? A Bible belt state that is one of the most conservative in the US, Arkansas voters will decide in a few short weeks if medical marijuana will be legalized. While this is sure to be controversial, medical marijuana has been successful in over 20 other states – and their governments are reaping the tax benefits. Even those lawmakers who are against the purpose of the legalized pot agree that the tax revenue is great. While this will not curb illegal marijuana sales, it can help a growing number of people who are turning to green ways of tolerating their pain and ailments. From migraines to MS, and even cancer, many ailments are treated with medical marijuana. So, what’s the problem here? Well, it’s the marijuana itself. In this wrong hands, it can turn into a recreational drug. And many fear doctors who will prescribe it for any alleged ailment without proper testing to determine an ailment. Well, these doctors do exist – but they are few and far between. Another issue comes with merchants themselves. Merchants need a way to process payments, and without a good marijuana merchant account, merchants are basically out of luck. That being said, not all marijuana merchant accounts are alike. Before you sign on the dotted line, you need to make sure that your merchant account provider actually understands your industry. This is a big issue with state-based merchant account providers who jump at a new industry – but haven’t a clue about the issues involved. Yes, all industries have an issue, but medical marijuana and legalized recreational marijuana businesses have more than the average “high risk” business. One big issue is the lack of banking support, thanks to the Fed’s classification of any type of marijuana as illegal. So, you will need an educated merchant account provider to help you find the right sources to help your business become the best that it can be. 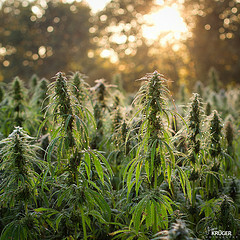 This entry was posted in Arkansas Medical Marijuana, Marijuana Business Funding, Marijuana Industry, Marijuana Merchant Account and tagged Arkansas Medical Marijuana, Marijuana Legalization Arkansas, Medical Marijuana by admin. Bookmark the permalink.